For generations, intellectuals of the left have assumed that Friedrich Nietzsche and Martin Heidegger belong to them. Allan Bloom, in The Closing of the American Mind, wrote: “Nietzsche’s colossal political failure is attested to by the facts that the Right, which was his only hope that his teaching would have its proper effect, has utterly disappeared, and he himself was tainted in its ugly last gasp, while today virtually every Nietzschean, as well as Heideggerian, is a leftist.” I’m not sure whether that sentence was ever fully true, but it’s certainly not true today. Steve Bannon, the rabble-rousing populist and alt-right enabler who Donald Trump shockingly brought into the White House, said the following to a gathering of the Front National in March: “every day, we get stronger and they get weaker…. History is on our side.” Can we be completely sure that this is wrong? 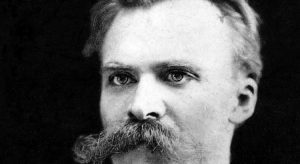 As the far right returns to the scene, so do worries about the possible ideological relevance of vehemently anti-liberal and anti-egalitarian thinkers like Nietzsche (and Heidegger). Consider two writers of the radical right who have been warmly embraced by the contemporary alt-right: Julius Evola and Alexander Dugin. Evola, the monocled baron, Italian exponent of über-fascism, the inspirer of black terrorism in Italy, and an explicit disciple of Nietzsche, articulated a vision of caste-based Nietzschean neo-aristocracy. Charles Clover, in an illuminating recent book, writes that Evola “believed that war was a form of therapy, leading mankind into a higher form of spiritual existence.” Dugin presents himself as a Russian right-Heideggerian and is published by two white-nationalist presses (Arktos and Richard Spencer’s Radix). In April, 2014, he was asked on Russian TV: “Is there a philosophical quote that is especially dear to you?” Dugin responded: “Yes: man is something that should be overcome.” Dugin didn’t specify the source of this “especially dear” quote, but anyone with any acquaintance with Thus Spoke Zarathustra knows that it’s Nietzsche. In the same interview, Dugin stated: “The essence of the human being is to be a soldier.” There are texts in which Dugin presents himself as a prophet of a “new aeon” that “will be cruel and paradoxical,” involving slavery, “the renewal of archaic sacredness,” and “a cosmic rampage of the Superhuman.” He celebrates “hierarchical, vertical, ‘heroic,’ and ‘Spartan’ values.” Such views capture quite well why the thinkers expressing these views are committed, in a faithfully Nietzschean spirit, to the root-and-branch rejection of the horizon of life embodied in liberal, bourgeois, egalitarian societies. Since the Enlightenment, there has been a line of important thinkers for whom life in liberal modernity is felt to be profoundly dehumanizing. Thinkers in this category include, but are not limited to, Joseph de Maistre, Nietzsche, Carl Schmitt, and Heidegger. For such thinkers, liberal modernity is so humanly degrading that one ought to (if one could) undo the French Revolution and its egalitarianism, traceable ultimately back to the Protestant Reformation. For all of them, hierarchy and rootedness is more morally compelling than equality and individual liberty; democracy is seen as diminishing our humanity rather than elevating it. We are unlikely to understand why fascism is still kicking around in the 21st century unless we are able to grasp why certain intellectuals of the early twentieth century gravitated towards fascism, namely, on account of a grim preoccupation with the perceived soullessness of modernity, and a resolve to embrace any politics, however extreme, that seemed to them to promise “spiritual renewal,” to quote Heidegger. For these thinkers (and their contemporary adherents), liberalism, egalitarianism, and democracy are a recipe for absolute deracination, and hence for a profound contraction of the human spirit, which presumably is what Heidegger had in mind when he spoke of spiritual renewal. All of this might have seemed irrelevant during the seventy years (roughly: 1945-2015) when fascism was utterly discredited. It doesn’t seem irrelevant today. On the contrary, liberal democracy seems to be increasingly on the defensive. Today we have Trumpism and Bannonism in the U.S.; Putinism in Russia; Orbánism in Hungary; Erdoğanism in Turkey; Xiism in China; Modiism in India; Duterteism in the Philippines. Admittedly, none of these leaders are as bad as Hitler or Mussolini or Stalin. But at the same time, none of them are reliable guardians of liberal democracy. 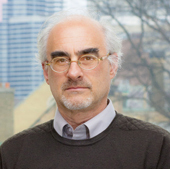 Roger Cohen has just published a New York Times op-ed on the rise of quasi-authoritarianism in Hungary and Poland in which he quotes a former Polish Foreign Minister’s expression of disdain toward “those who believe history is headed inevitably toward ‘a new mixture of cultures and races, a world made up of cyclists and vegetarians, who only use renewable energy.’ ” The project of populist nationalists in Poland and Hungary is to defend what they take to be European Christian civilization from such pathetic wimps. This, one should not fail to recognize, is a 21st-century version of Nietzsche’s story about the last men. Bannon sought to encapsulate the new Zeitgeist with a memorable line: “We are witnessing the birth of a new political order.” We have to take with deadly seriousness the possibility that this is actually the case. 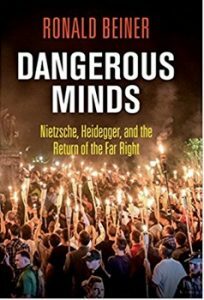 And as I argue in my new book, Dangerous Minds, intellectuals need to be far more alert than they have been in the past to possible philosophical sources of the newly assertive far right.